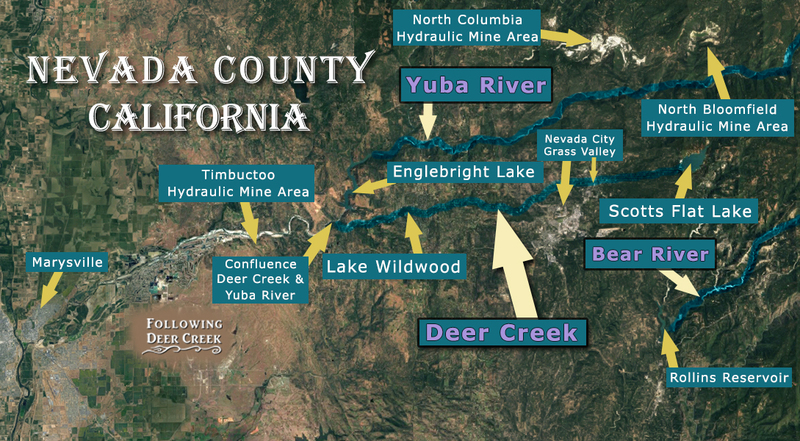 Though Timbuctoo and Smartsville are in Yuba County, we are including them in our creek history because water from the Yuba River and Deer Creek watersheds flowed through them causing one of the first land use limit laws to be written in the country. 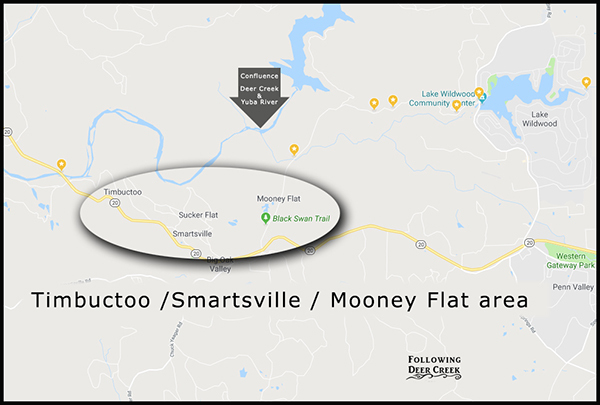 In the 1850s, Timbuctoo and Smartsville were centers of activity. The population was between 1,000 to 4,000, many of them were Irish immigrants. 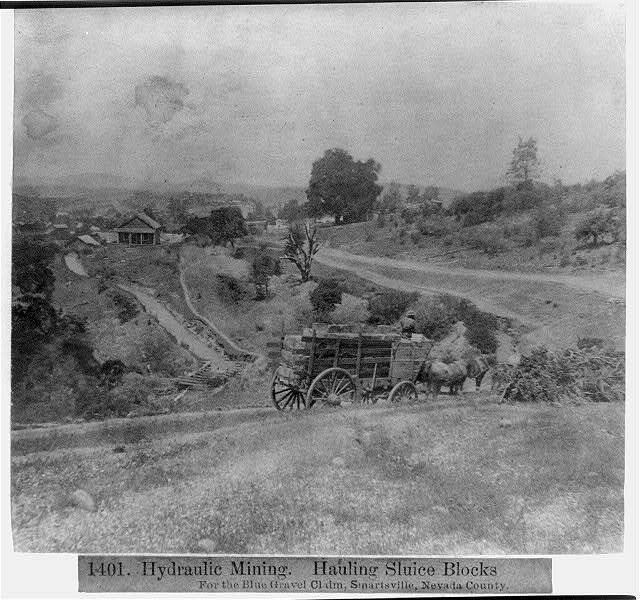 With the invention of hydraulic mining, it became one of the wealthiest regions in California. Estimates say that millions of dollars of gold dust were moved through local business and the Wells Fargo headquarters in Smartsville. 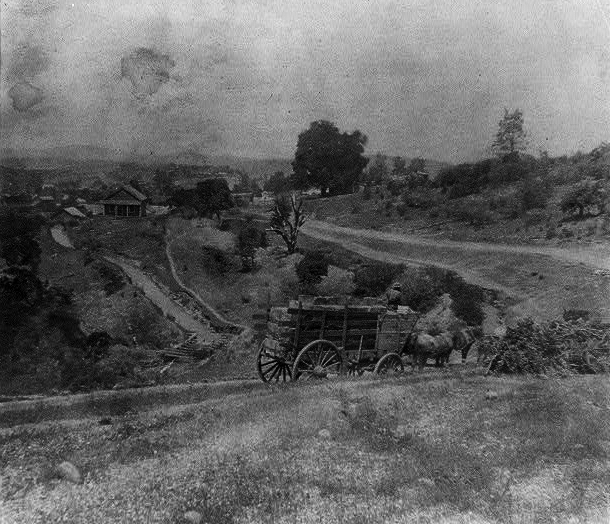 The town of North Bloomfield is located near Malakoff Diggings. Silt and debris washed out of the steep mountains and settled, changing the course of waterways and making channels shallow. 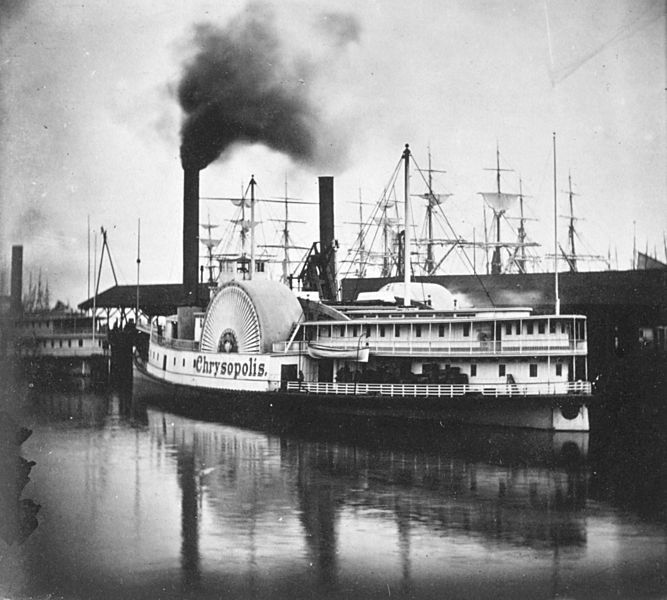 Riverboat traffic conducting trade between Sacramento and San Francisco was threatened. Alarmed by the danger of downstream flooding, farmers and townspeople created costly levee systems. If you liked this post, you may also like Geology or Geography.